The Cove Yamba is located in the gorgeous beachside town of Yamba, voted ‘Best Town in Australia’ by Australian Traveller. 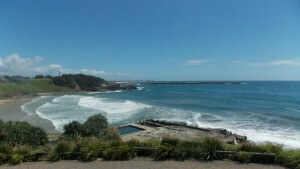 Yamba is an absolutely beautiful spot for a beachside getaway. It’s a laidback beach town, with plenty of beaches and fantastic views of the Pacific Ocean. We’re lucky enough to be located right on the beachfront – with a patrolled swimming beach and ocean pool just across the road.